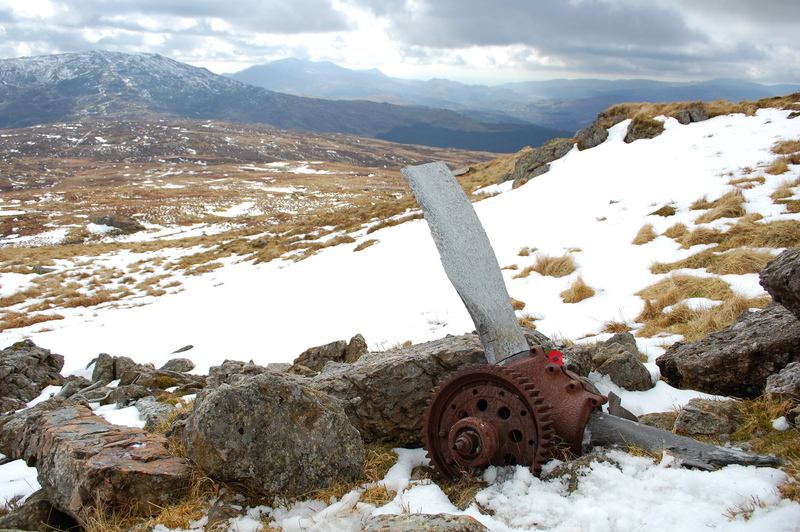 On 9th February 1944 Mosquito LR412 – a photo reconnaissance aircraft – crashed on the mountain of Aran Fawddwy in Snowdonia, Wales. 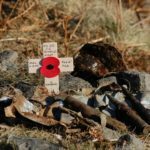 Both crewmen, pilot Flying Officer Marek Ostaja-Slonski (PAF) and navigator Flight Lieutenant Paul Riches DFC (RAF) were killed in the crash. They had been on a cross country exercise coupled with the testing of newly fitted flaps. The cause of the crash remains unknown. It was five days after the crash before a hill farmer spotted and reported the missing aircraft. The crewmen were buried together at Chessington in Surrey. Fl. 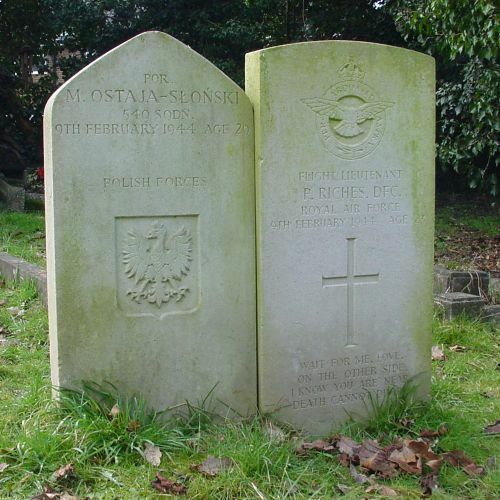 Lt Riches was from Epsom in Surrey but F/O Ostaja-Slonski was of the Polish Air Force. It would appear his burial alongside his navigator was a touching gesture by the family of Fl. Lt Riches. The two airmen, side by side in their Mosquito and buried together too. 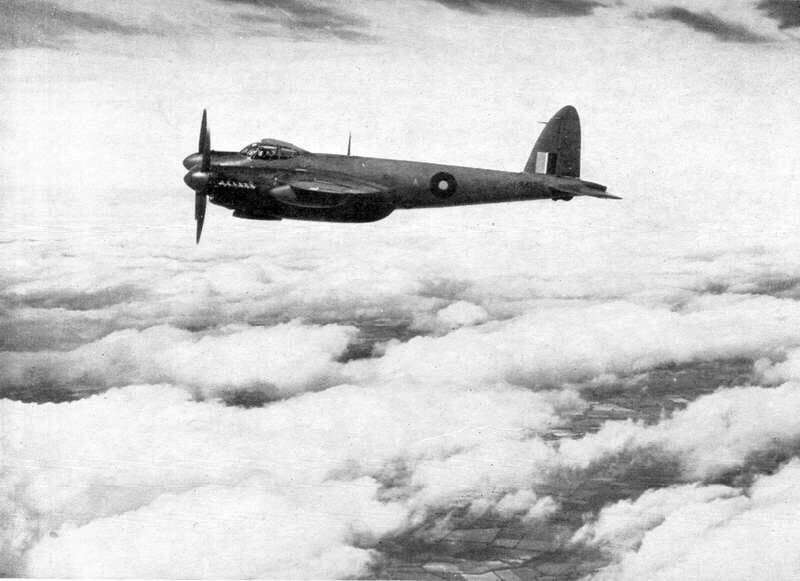 A photo of this very Mosquito; LR412 of 540 Squadron. One of the Rolls Royce Merlin engines of LR412 forms an unofficial memorial to the crewmen. Embedded in concrete it is sited at the entrance to Esgair-Gawr Farm. Llanwrog Mountain Rescue Service brought the bodies of the two airman off the hills and along this road in the early hours of February 15th 1944. This short but sweet clip of twin engined Mosquitos and single engined Spitfires on Youtube is very realistic CGI by Japanese animator Tochy. Or see here for the real thing. As ever Ian, this is great stuff. 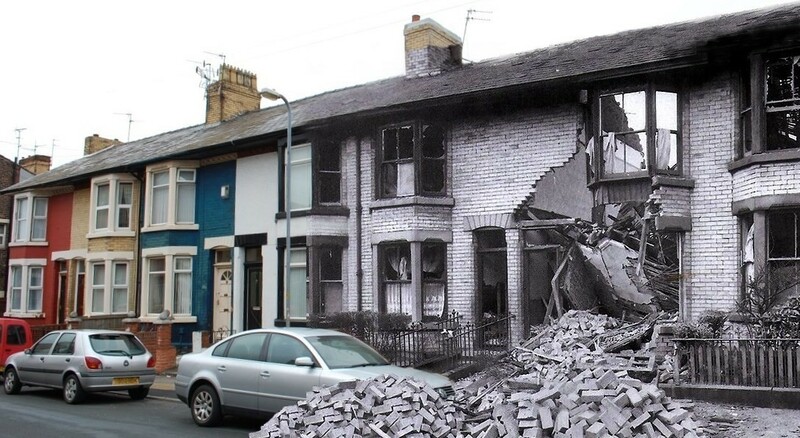 Fascinating story and a great shot. I honestly didn’t know there were that many crash sites in these islands. Just goes to show how little I know about where I live! Superb research and presentation Ian , and a great shot . Very interesting Ian, nice shot. Always facinated by these tales. Snow still lying! Your shots are full of detail Ian – high spot but no crater this time? Unless this piece travelled a way perhaps. Anyway, hope you have a good time exploring. That’s a sizeable piece of wreckage. What a peice of wreck to find on a snowy hillside. Wonderful presentation Ian.. The photographs & words give such a comprehensive account of this tragedy. Superb work as always.. Fantastic main photograph of the prop hub & surrounding landscape. Last week I met the farmer who helped bring the engine down from the hillside 20 or so years ago,his wife remembers the crash. 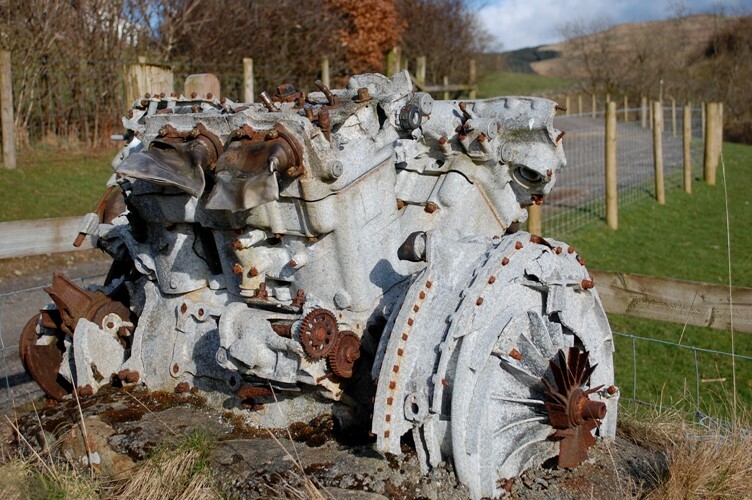 Snowdonia national park authority wanted to clear the area of "scrap" but the local people got together, rescued the engine and persuaded the authority to mount it as a war memorial.It was subsequently consecrated. The other engine survived in far better condition and is in the care of another local farmer who has retained it as a reminder of those who gave their lives for us. 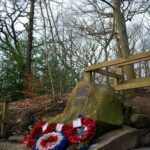 He told me that not long ago he met the pilot,now quite an old man, from the lead aircraft who was miles away when he noticed that LR412 had disappeared,he had come to pay his respects to a fallen colleague. I found it all very touching. Thanks Mike, very interesting additional notes. They can be moving places. My mate always feels that way about sites where the prop remains, they are poignant reminders. the composition here is striking, the wee red poppy ever so poignant [i’m also listening to Dvorak Cello Concerto which probably further heightens the emotions here]. great lay of the land shot, the grass just through the snow shows the passage of time which is further reflected in the wear to the prop hub. i always thought if i was ‘back then’ i’d try for photo recon, risky as it was: not really the fighting sort, but recon – well it’s like research on wings innit? that animated clip was brilliant! Thanks Glenn, glad it helped.